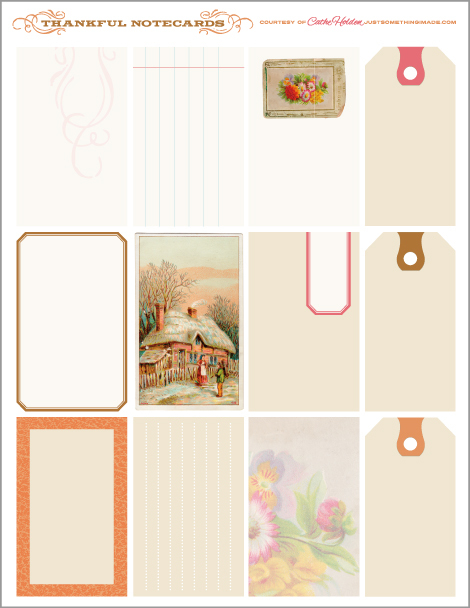 About this time of year I remind you to get working on a Thanksgiving Journal to pass around your holiday table. But this year I thought a remake of the Father’s Day message box into a Thankful Box might be nice. 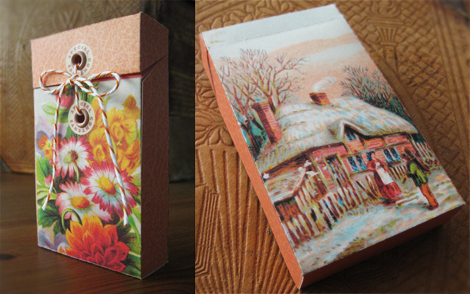 Guests can each receive a note card to write on and tuck into the box. This might be better received than passing a book as guests may be apt to write more if they know their thoughts aren’t being passed around all day. 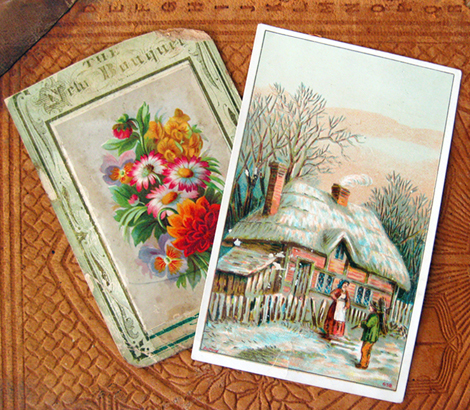 For this template I used images from two very old trade cards in my ephemera stash. 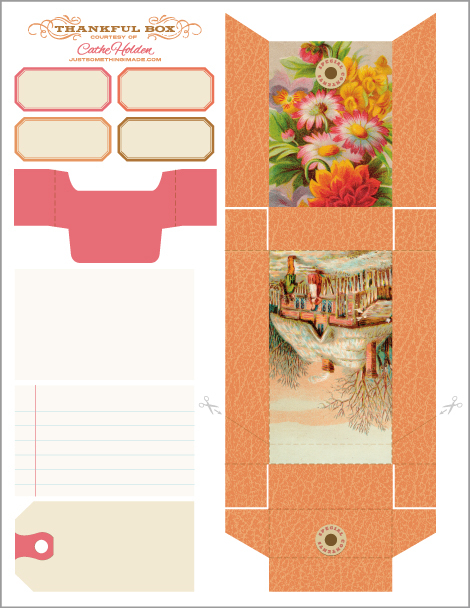 Click on the images below to download the box template and note cards. Print to cardstock. Assemble the box using the directions found in the original message box post. This entry was posted in Free digital downloads, Free PDF files, Uncategorized. Bookmark the permalink. What a wonderful idea. We won’t be getting with family for the holidays but I may make one for a friend. What a great idea and thanks for sharing. During these times when things are a little rougher than in the past, it’s good to have these boxes visible to remind use to be grateful.Even if it’s the littlest thing, thanks be said. I can see sitting around the Sunday dinner table and sharing all of these with the family. Thank you very much for sharing this great project!! Thank you, Cathe! I wish you a blessed and happy Thanksgiving. Thank you so much!! I am going to print this out and make one up for my family. So kind of you to share this season. Hey, thank’s Cathe. These are super cool. Btw, I am using some of your photo of the 1870 book cover for the design of my blog. Thought you might like to know. You can see it at http://www.plannedresilience.net/. Eventually, I want to adapt the original label for the banner. I am trying to find a good font. Too bad I can’t make it gold embossed like the original label. My daughter want’s to use it as a “cover” for a school book report, to make the report look like a real book. I’ll print the cover on photo paper for her, so it looks really good. Wonderful sweet idea- I will be pinning this- Thanks for sharing. thankyou for this gift of the thank you box. i see many, many uses for this clever box. THANKS for sharing, and Ihope you and your family have a happy, wonderful Thanksgiving! Thank you – this is so beautiful and can be used at any time of the year! Thank you so much for you generosity! You are such a talented lady. I love this idea. I’m planning to do something similar at my dad’s 80th birthday. Everyone write something they are greateful for my dad and at the end of the day give it to him for him to read at his time. I would like to thank you for the cute box and note cards.